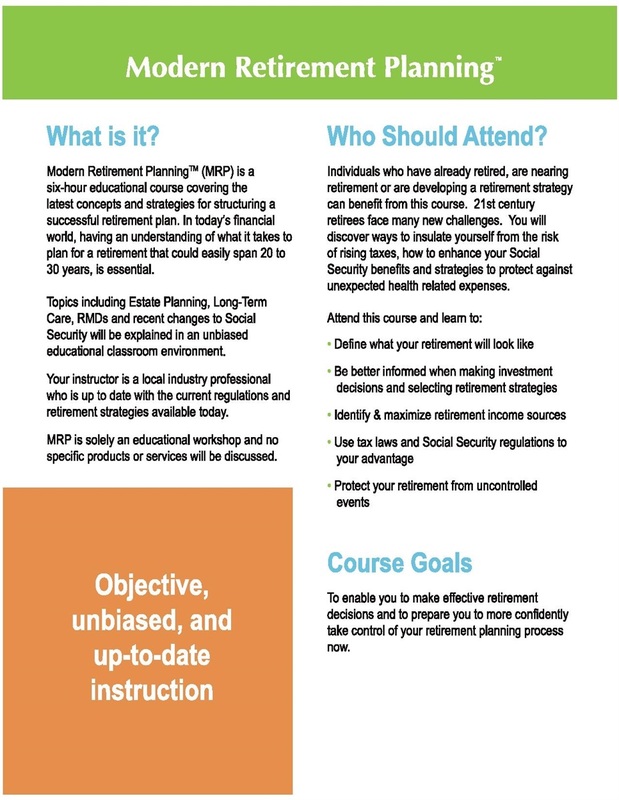 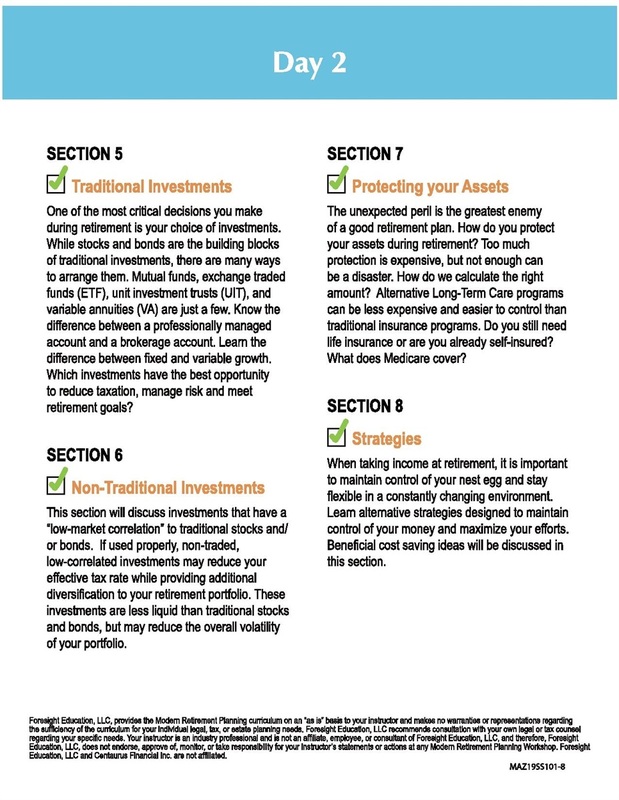 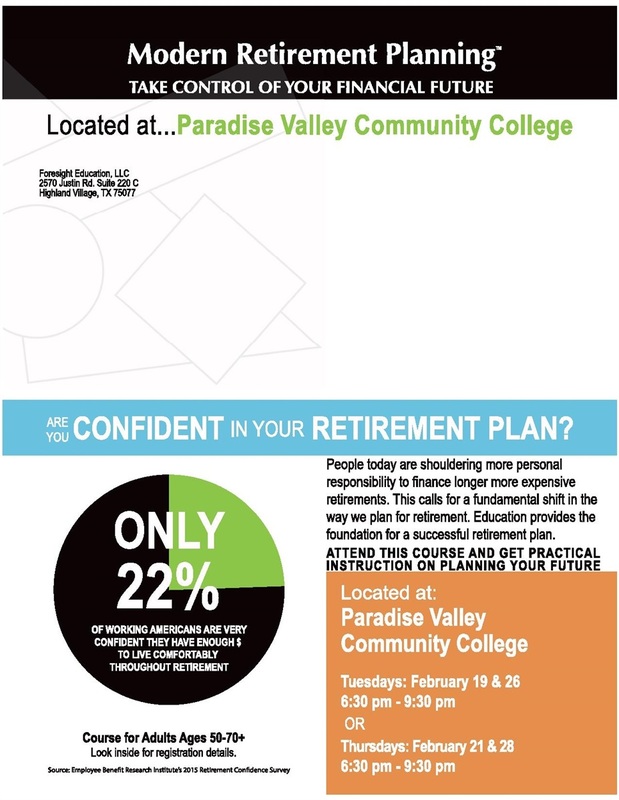 Modern Retirement Planning (MRP) is a six-hour continuing education course covering the latest concepts and strategies for structuring a successful retirement plan. 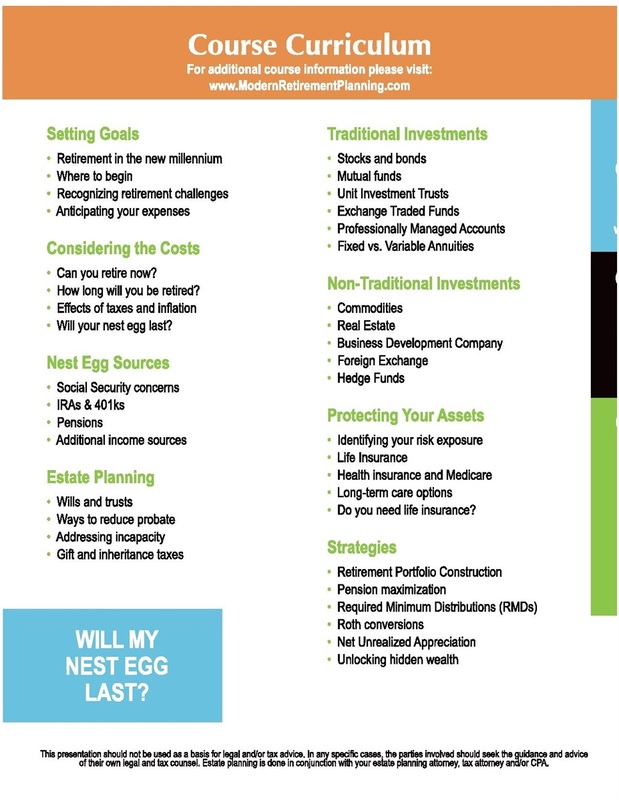 In the financial world today, having an understanding of what it takes to plan for retirement that could easily span 20-30 years is essential. 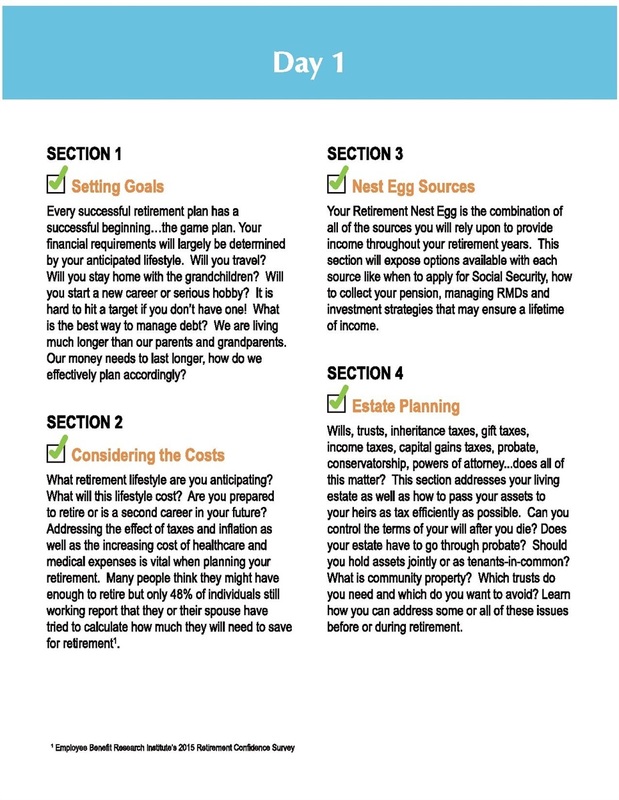 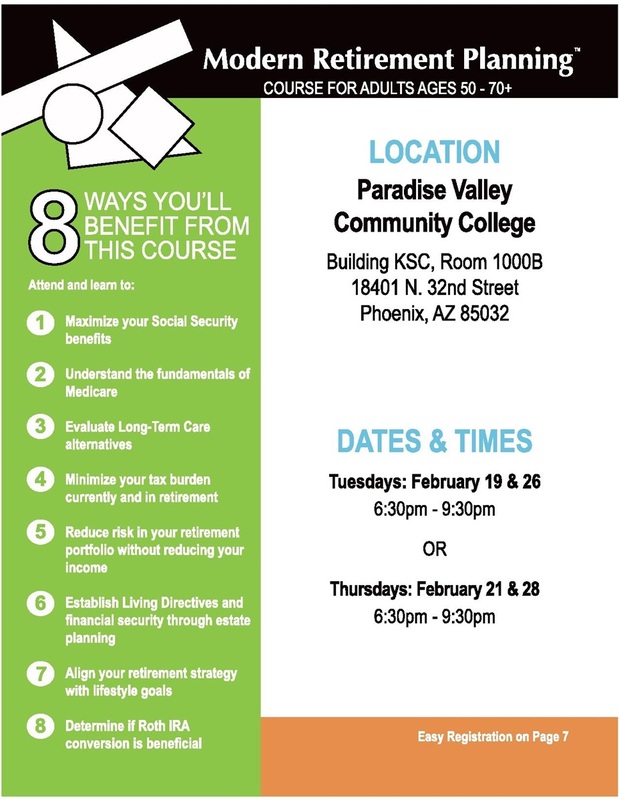 Topics include Estate Planning, Long-Term Care, RMD’s, Medicare and recent changes to Social Security will be explained in an unbiased educational classroom environment. 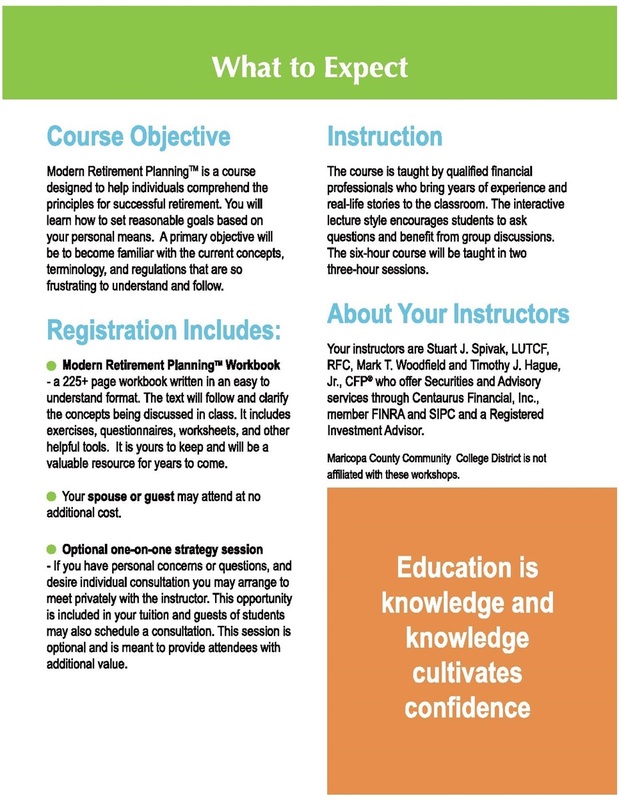 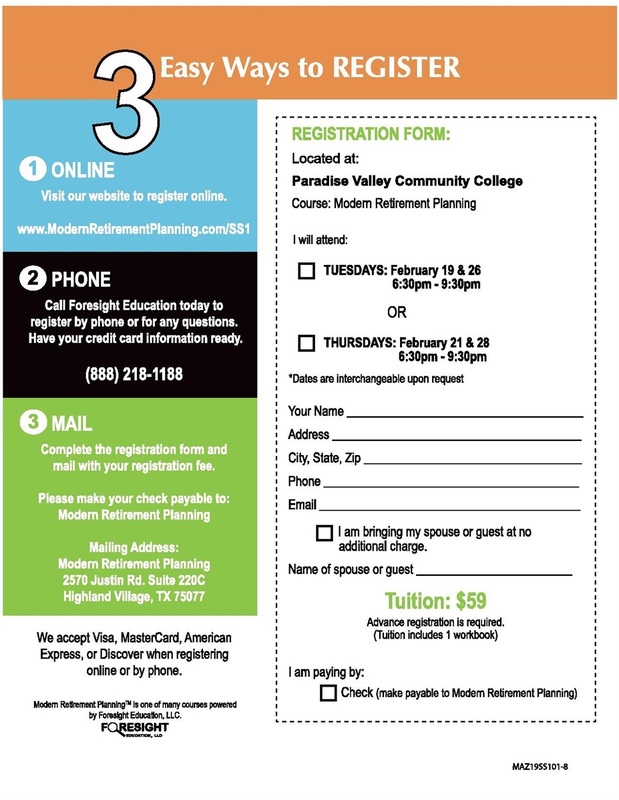 MRP Classes are offered year round.